"Neuschwanstein" Castle was built from 1869 to 1886 by King Ludwig II of Bavaria in the medieval style, replacing the castle ruins of "Vorderhohenschwangau" and "Hinterhohenschwangau". Today, the castle is arguably the most famous monument built in the era of King Ludwig II, given its unique location on a rocky ledge overlooking "Pöllatschlucht" gorge and the breathtaking mountain views. 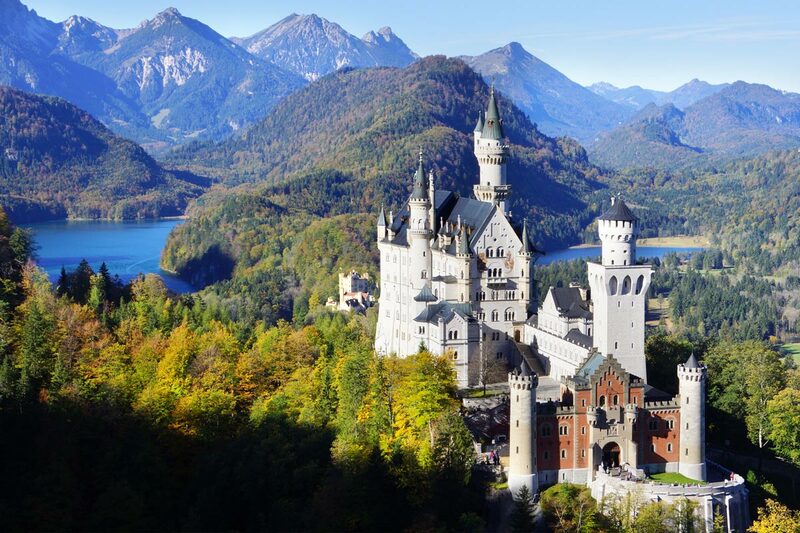 Today, "Neuschwanstein" Castle is one of the most popular monuments among the European castles and fortresses. The "Castle of the fairytale king" attracts annually about 1.3 million visitors. In summer, the rooms, initially destined for a single person, are crowded daily on average by some 6000 visitors. The castle was converted from 1833 to 1837 by the Bavarian Crown Prince Maximilian, who became later King Maximilian II of Bavaria (father of King Ludwig II), into a neo-gothic style palace, which was principally used as summer residence by the royal family. 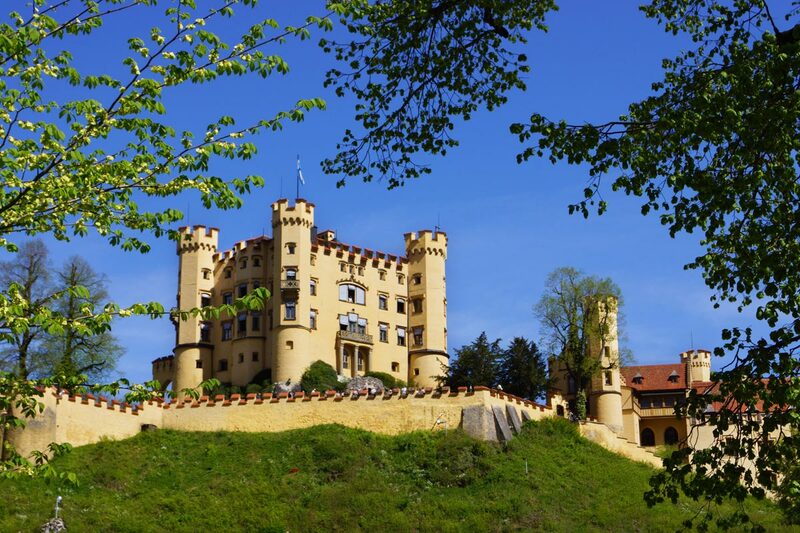 The guest, who is interested in the life of King Ludwig II, may find at "Hohenschwangau" Castle the origins of the king’s inclination toward myths and legends. Supposedly, the exuberant king found a lot of inspirations when staying here in his childhood. Both castles are within a few minutes’ drive from Füssen. You will surely spend pleasant and edifying hours there.